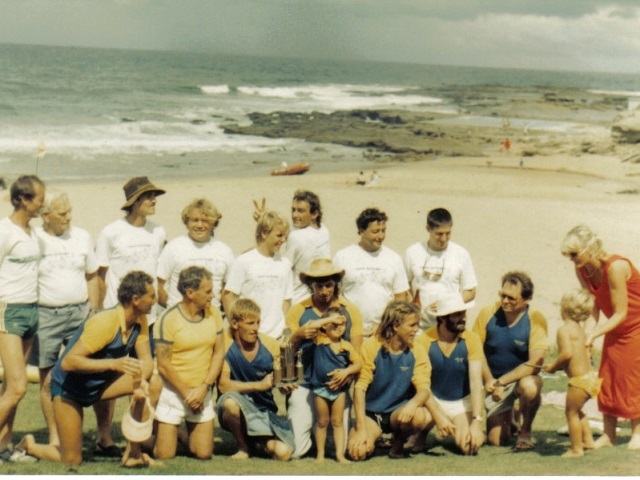 The Mollymook Ocean Swimmers are a motley group of people from all walks of life who have been drawn together by a common interest, ocean swimming. As you “peel back the layers over a period of time” (Anne-Maree) you begin to see the unique individual characteristics that make up this “Motley” crew. Today we share a brief snapshot into the life of Graeme Cutler. 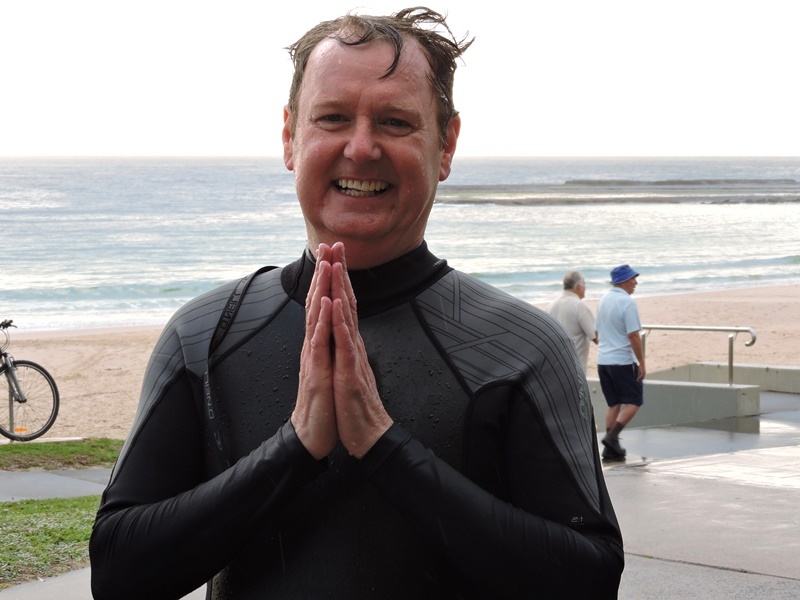 Graeme divides his time between Mosman and his recently renovated home at Mollymook and enjoys his ocean swimming. One of Graeme’s interests is the Africa Mercy Boat. In fact its more than a boat, it is the world’s largest charity hospital ship. Graeme is Chairman of the Board of Mercy Ships Aust. This floating hospital includes five state-of-the-art operating rooms, as well as intensive care & bed space for up to 82 patients. It has a berth capacity for 474 individuals and is supported by corporate and individual donors. 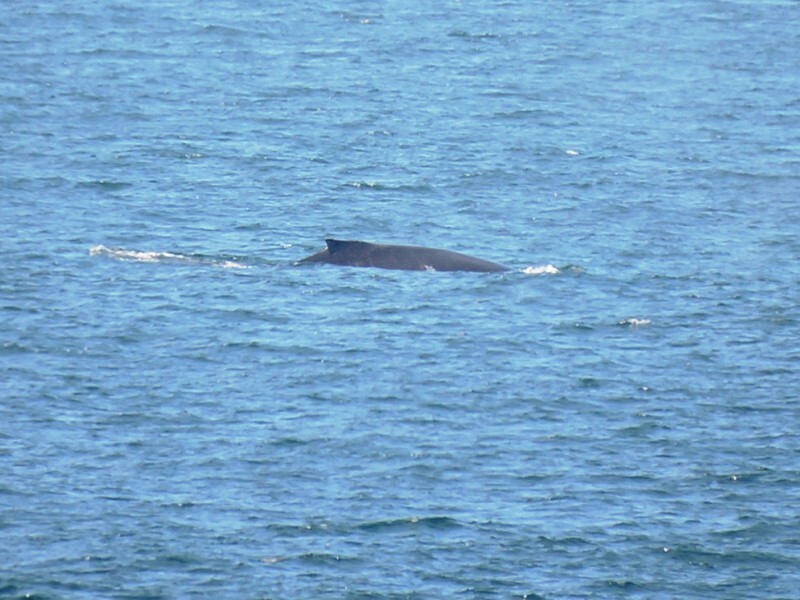 Pods of Whales: Few whales have been sighted during the traditional Sept – Oct period this year however Friday was huge with pod after pod moving south down the coastline. 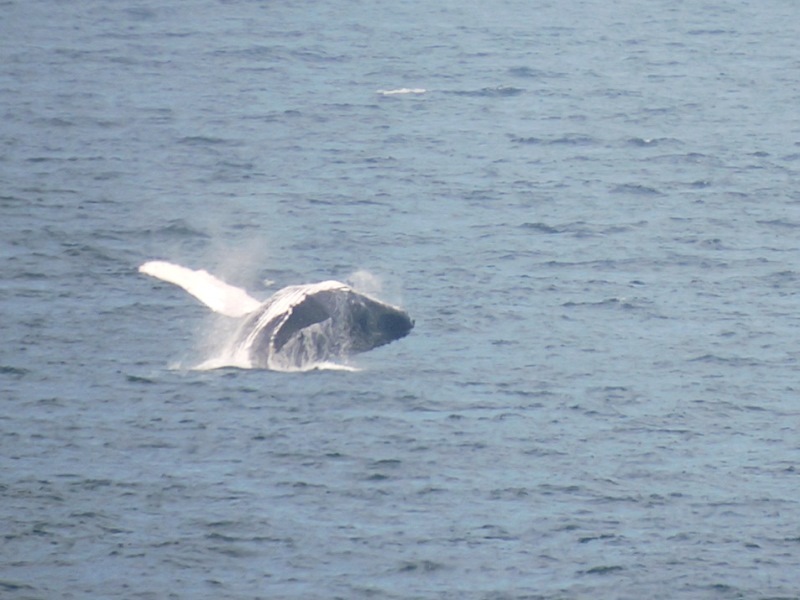 Those pods of whales that were close to Mollymook beach, were ideal for photography. Africa Mercy Ship: Just a reminder, on channel 7 TWO tonight 2nd November, from 7.30 to 8.30 is a presentation called “Mighty Ships”. This showing is all about the Africa Mercy, not the medical services provided, but all of the issues and challenges that have to be overcome in order to keep the ship fully operational so that it can perform its function as a hospital ship in Africa. 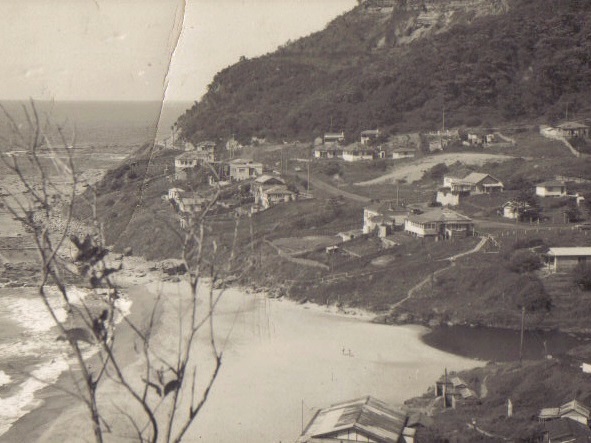 Following the release of Mollymook – Billy Rushton’s post earlier this week titled ‘Billy – A step back in time – 1964’, local Coalcliff residents Tony Williams and Ed Melinz sent through a number of other early Coalcliff photo’s that related to the Surf Club and Beach history. 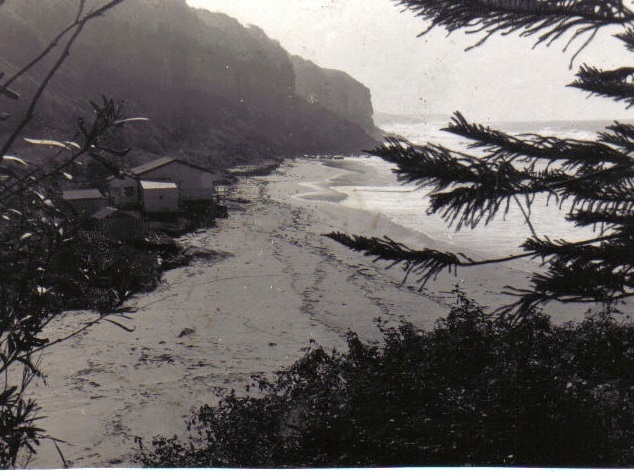 The image of the Surf Club was taken in 1969-70 prior to being washed away in the floods that occurred in 1974. 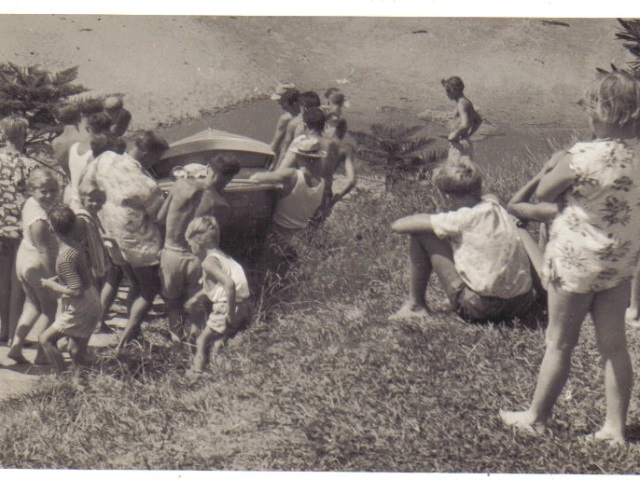 The ‘Squatters era’ shows a group of squatters lowering their boat to the water below. The ‘Squatters’ apparently occupied tin shacks (built during the depression years) on weekends and over Christmas. The council finally bulldozed and removed them in 1964. 1964 – the way it was…. 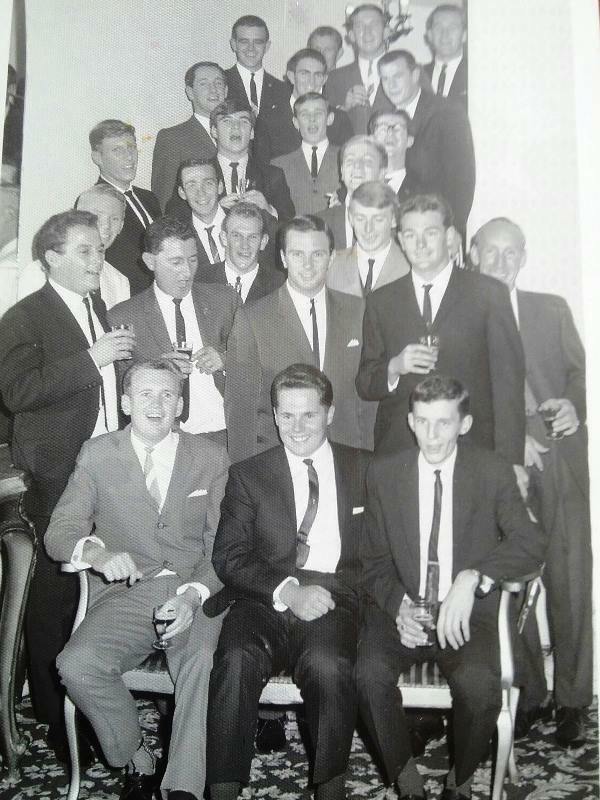 The occasion: Peter Lozan’s 21st birthday (Pic – centre front row). Billy Rushton was on the scene to capture this group photo of the club members. NOTE: The dress / fashion for that period: All the young men in their late teens – early twenties dressed in a suit and tie. That’s the way it was. Back in this period the feature social event each Saturday night was a ‘Sand Dance’ held at the old surf club with some parents keeping an eye on proceedings. The old surf club was later washed away in the huge storms of 1974-1975. 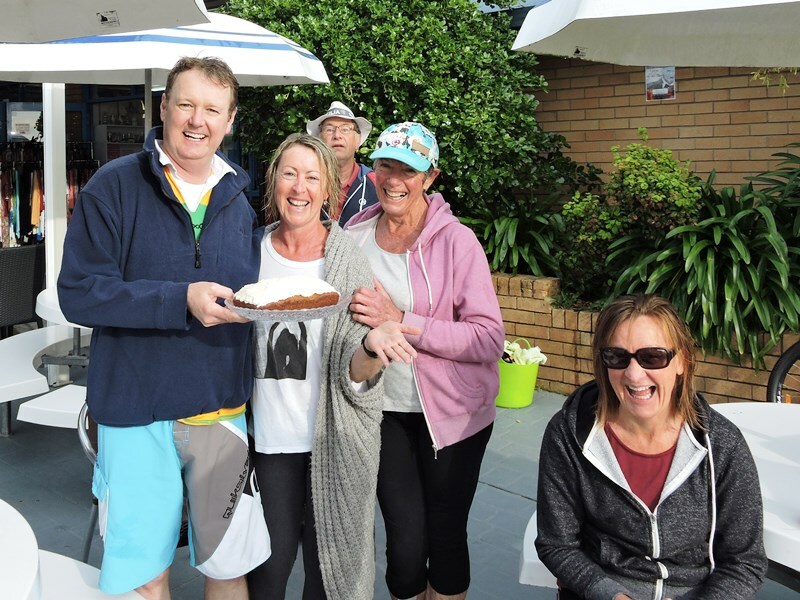 Some of these youngster have aged gracefully over the ensuring 50 years as they came together for a 50th celebration, early November 2014 that Bill help organise at the Gerroa Fishermans Club. Friendships, formed as kids by a common bond of sun, surf and the beach. We used to congregate at Coalcliff, down by the seaside blue. But when we come together like this, old friendships to re-kindle . Or just a wine to sip. 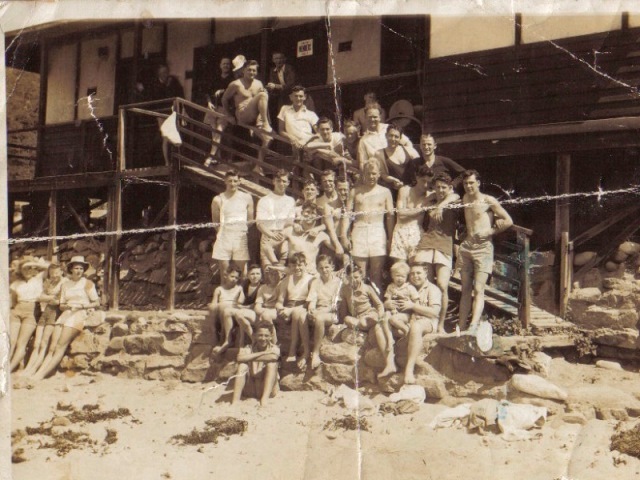 For just a moment, lets just reflect those long gone years of perfect days at Coalcliff. Does any of the following sound familiar to you?? Were a sheer wall of green? 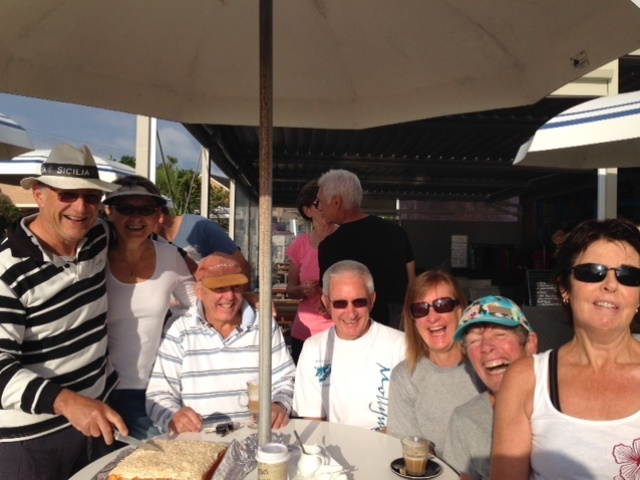 Along with former great international swimmer Gertrude Ederle, our own Louise M. celebrated her birthday Oct. 24 at the ‘Beach Hut’ cafe Mollymook. Mollymook showed off its own ‘Cairns’ showpiece (above) at Collers Beach this morning. An unknown artist put together this rock sculptor and (below) Popeye – Mick Purcill shows a different ‘Cairns’ structure at Mollymook Beach before vandals dismounted it. Stone cairns are considered an ancient art form, and are often constructed by balancing large rocks or stones on top of smaller ones. 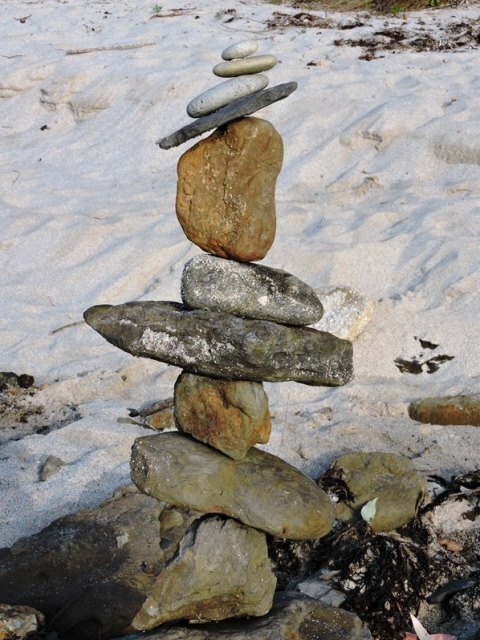 No mortar is ever used in making a stone cairn, which is what makes this feat so amazing. Cairns have been popular in many cultures since the prehistoric times. Pic below shows those in Ireland and Stonehenge. 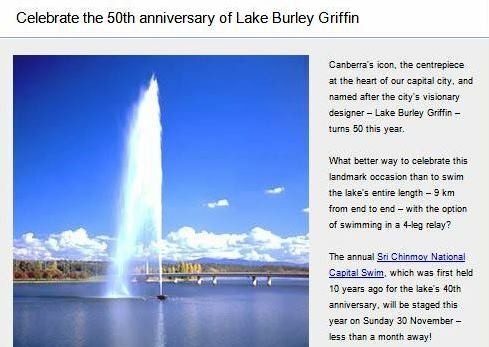 The date has been set for this years ‘SRI CHINMOY’ Lake Burley Griffin swim. 9 Km in length. You can swim solo or in a team. 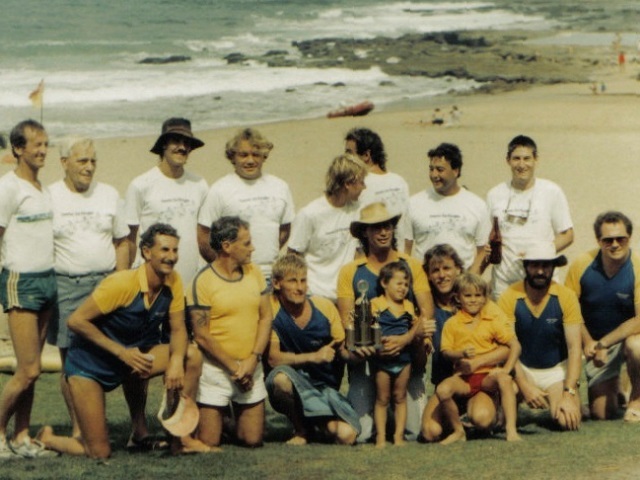 Graeme Wolfenden and Mike Gaffney are the current record holders for the “All Male – over 50’s team” having set the record back in 2009. This year there is a 4 man relay team event on offer should anyone be interested. Peter celebrated his birthday on the same day October 30 along with fellow sportsman and celebrity Diego Maradona. 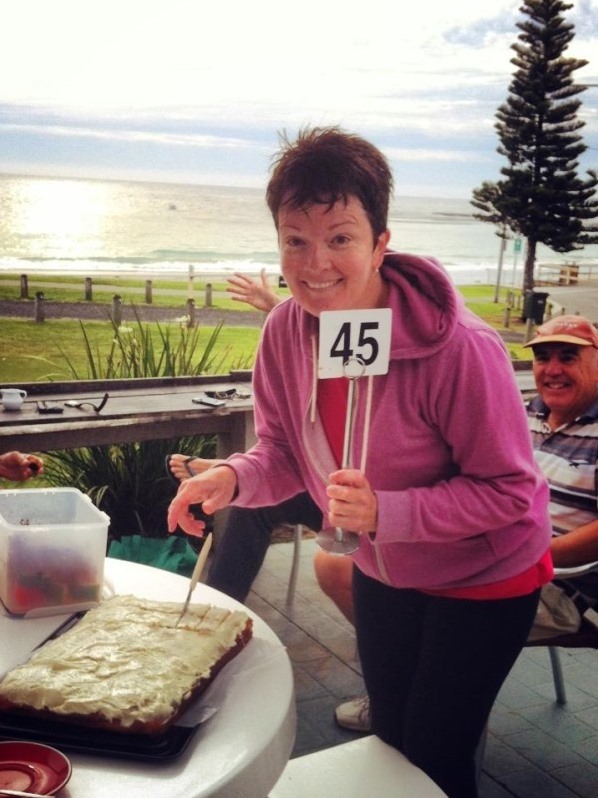 What huge days, Jo and Issi created awesome cakes, Grant was wondering when was the next birthday cake. 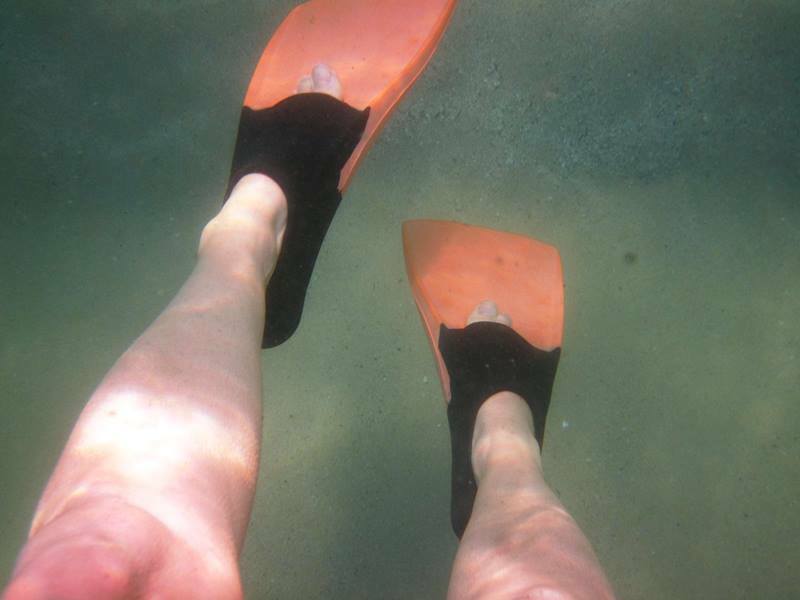 Swim at Mollymook Beach or Budapest – Where would you Choose? 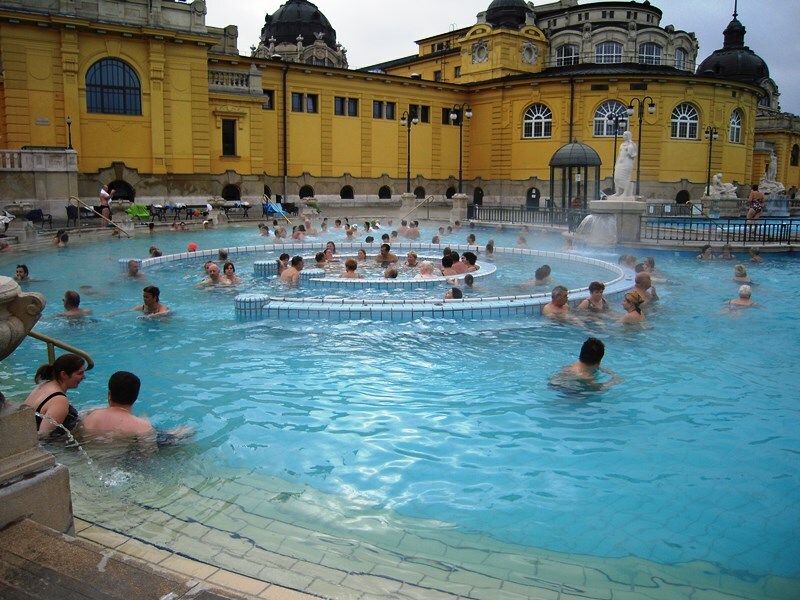 Ross M. sends this image of him joining in with the Sunday morning swimmers, Budapest style. He claims to be the good looking bloke somewhere in the middle and of note, he is not wearing a wetsuit as the water temp was 35 degrees. Ross and Sue are presently doing the cruise from Budapest to Amsterdam. Peter the Priest led the service at Mollymook Beach this morning. He centered his message around the scripture 1 Thessalonians 5:17 “Pray without ceasing”. He also shared the joke when a young man entered the confession box and said “Father I have sinned”. The Priest answered: “I know, I’m on Facebook”. Recharge the mind, body, and soul. 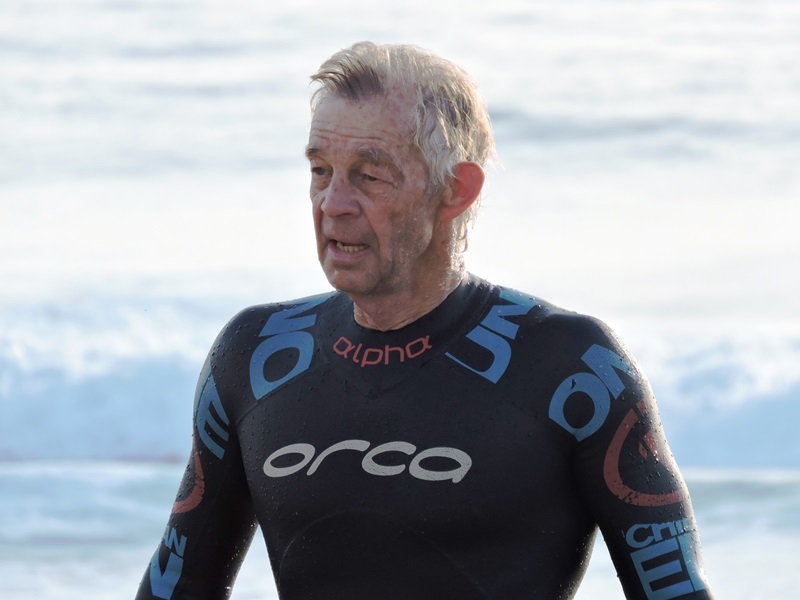 Swimmer profile – Raymond A. The Mollymook Ocean Swimmers are a motley group of people from all walks of life who have been drawn together by a common interest = ocean swimming. As you “peel back the layers over a period of time” (Anne-Maree) you begin to see the unique individual characteristics that make up this “Motley” crew. Today we share a snapshot into the life of that man with so many talents, Ray A.
Raymond, that’s fifty, have a breather. 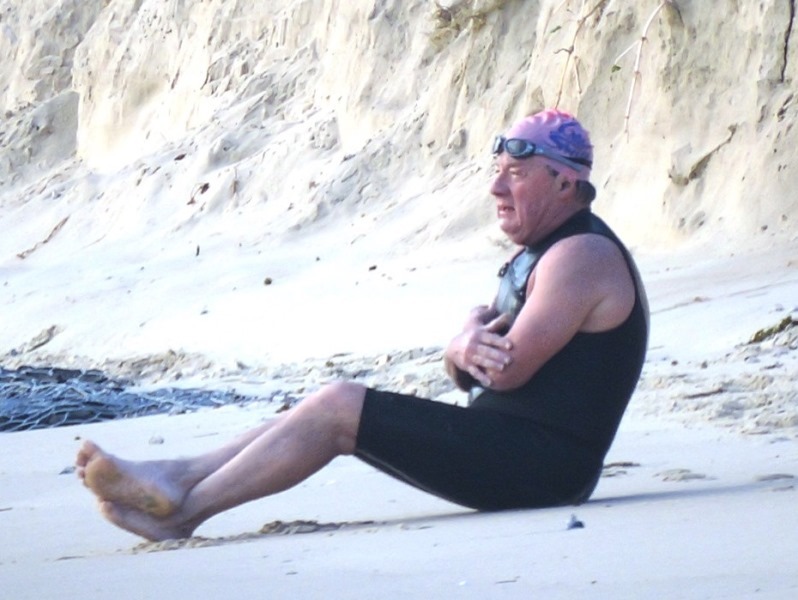 Hidden at the far end of Mollymook Beach, following a one km ocean swim and just after sunrise is fitness guru Ray A. In this picturesque location he seeks to rejuvenate the body, mind and soul. He begins with exercises designed to streamline the tummy. If the tummy is taunt his mind will be at peace. And if his mind is at peace his soul will have a much better chance of going to heaven. Mollymook beach is a haven for early morning fitness conscious people doing either: Boot camp, Triathlon training, Iron-man routines, swimming, running &/or walking, all programs designed to alleviate stress and maintain optimum health through exercise and fun activities. Ray shares his time between Mollymook / Milton and Sydney. His fitness regime continues in Sydney where his is a lead instructor at the Tattersalls Club, Sydney’s premier business and sporting club, located on Elizabeth Street, opposite Hyde Park in Sydney’s CBD. Being a lead instructor, Ray had learned his trade having served under fitness guru George Daldry of City Tatts for many, many years. George had been the youngest internee at Changi then Naoetsu on the island of Honshu, Japan and returned home with a steely resolve to strengthen both mind and body to ward off the demons of his incarceration. The fitness circuit he devised brought forth clients of an extraordinarily diverse mix. Lyndon Johnson (then vice – president), Kerry Packer, Jimmy Carruthers, Lew Hoad, Simon Poidevin, Raper, Fulton, Coote , Langlands etc. 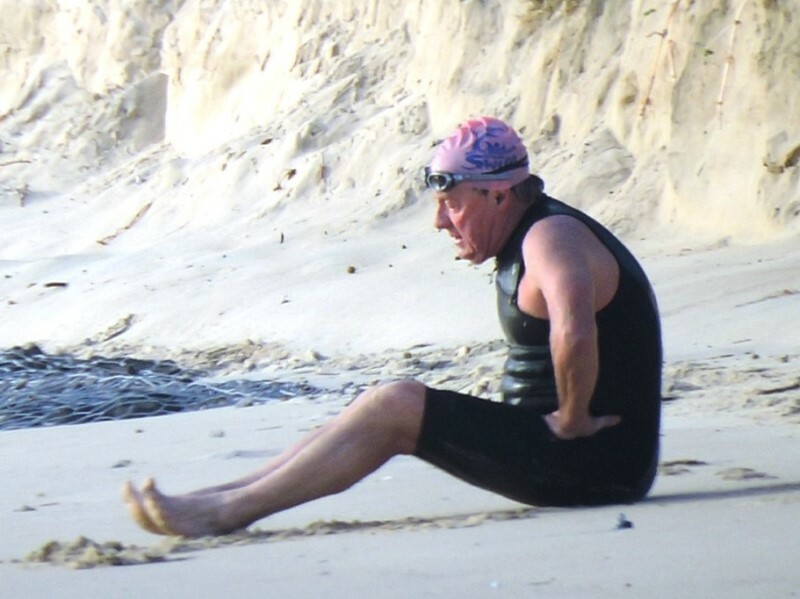 George’s greatest achievement (apart from training Ray) was to steer the Australian rowing eight to silver at Mexico in 1968 via his spartan punishing training technique. Running hills hand in hand, piggybacking up stairwells, utilising medicine balls and wooden planks, were his innovations designed to whip both body and mind. Certainly the thrice weekly and Sunday Centennial Park harrier runs conditioned Ray for marathons, biathlons and most definitely the Hawkesbury 110km paddling classic. Consequently, the sit up and push up routine (in images above) are an instinctive and habitual part of George Daldrys’ indoctrination! “A Trip Down Memory Lane”, courtesy of Graeme W.
Forward thinking young photographer takes the reins at Mollymook Beach. 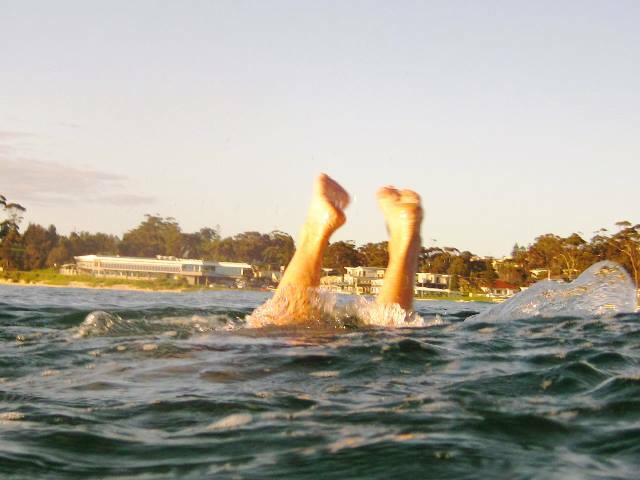 Re-known local Margy R. brings imagination and flair to the pages of Mollymook News with innovative images never before taken among the ocean swimmers.